Some of the best wisdom for management problem solving is found in nature which after all was created by the wisest being that exists. The world is full of breakthrough solutions. It is done in nature all of the time. Look to nature for an innovative example of how to solve your problem. For example, managers often struggle with how best to orient new team members about the culture and operational processes for an organization. Rather, than assuming sole responsibility for this process, you can take your solution from elephants. 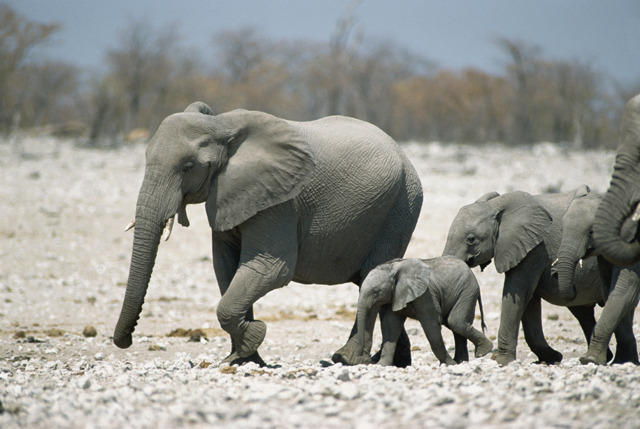 Elephants have a team approach to orienting baby elephants. While the mother has primary responsibility for her offspring, responsible aunts help in the process as well. A baby elephant in fact interacts with the entire family and is quickly acclimated to family dynamics. Nature is full of breakthrough solutions. Mother leopards move their juvenile children to leave the tree and get a place of their own by gradually no longer bringing home prey for the juveniles to eat. After a while, the juvenile leopards get the message that if they want to eat they need to use the skills their mothers taught them and get their own dinner. Herd animals accept change and recognize when they have to move on from their current location to better pastures. For example, rather than remaining in an environment that was once productive, herd animals recognize when they have exhausted the potential benefits of their current situation and they’ll move on. Nature has equipped them with the ability to accurately assess their situation, “cut their losses,” and move on. If you lead or manage a team, you can use analogies from nature to achieve efficient breakthrough solutions. First, you describe a problem to your team members and next you have them assist you in extending nature’s solution to your situation. The advantage of using Nature’s Way as a tool for breakthrough solutions is that nature provides compelling and simple solutions that everyone can understand. Nature’s lessons are not complex and they work! The next time you face a difficult problem, look to nature and see if you can find a solution from nature that fits your problem. Once you find it, extend nature’s solution to your problem and work on achieving your own breakthrough solution. See Three Change Management Lessons From the Dodo Bird for another lesson from nature!